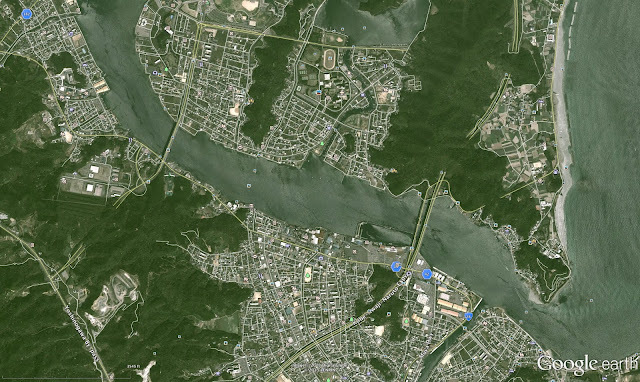 Three bridges cross the Konaruto Channel in northeastern Shikoku. Furthest to the east is the Muya Bridge, a big steel box girder bridge on hammerhead pier walls that carries the Kobe-Awaji-Naruto Expressway. 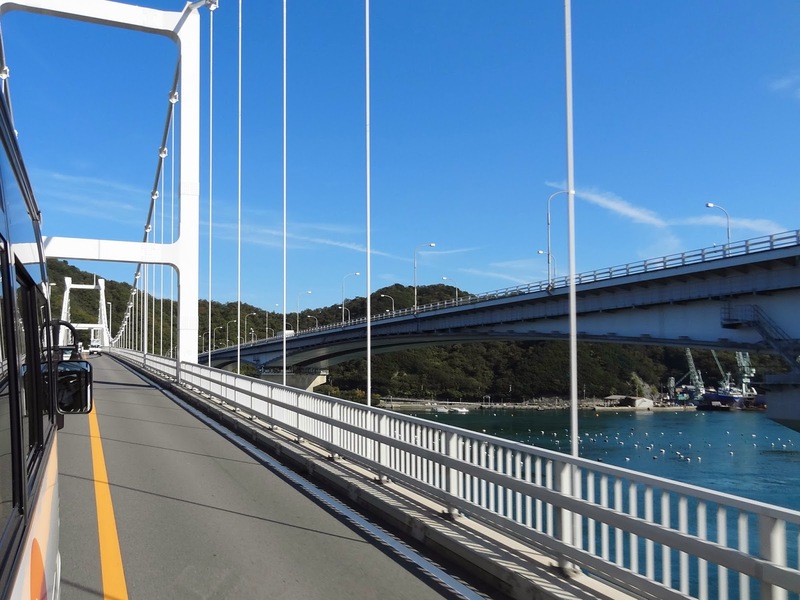 This bridge is 536 meters long with four lanes, and it was built in 1987. Just west of the Muya Bridge is the Small Naruto Bridge, a four span suspension bridge with an interesting 'A' shaped tower supporting the middle of the bridge. This bridge is 441 meters long with 160 m long middle spans and it was opened to traffic in 1961. 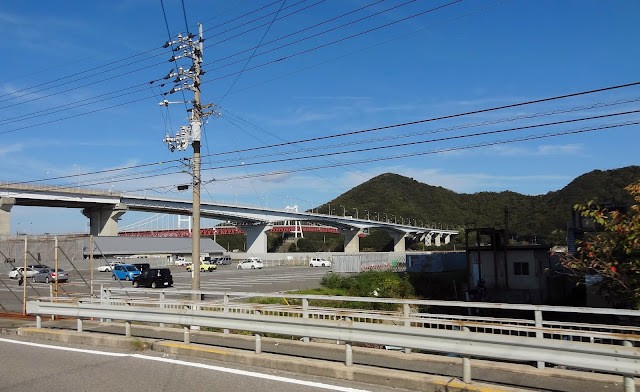 The westernmost bridge across the Konaruto Channel is a 530 meter long three span cable-stayed bridge (also called the Small Naruto Ohashi) with a 280 meter long center span that was built in 1998. I wasn't able to photograph it, but interested readers can view it by using the following link to another website. Tokushima Prefecture, Japan Bridge; Bridges across Konaruto Channel (2) by Mark Yashinsky is licensed under a Creative Commons Attribution-NonCommercial-NoDerivs 3.0 Unported License.